In an unprecedented move, Philadelphia's city council passed a 1.5 cent-per-ounce tax on sugary and diet soda to generate funds for pre-kindergarten and other community programs. Philadelphia officially became the first major U.S. city to enact a soda tax after its city council passed the measure on Thursday. The 1.5 cent-per-ounce tax, which will be levied on sugary and diet beverages, passed the city council 13-4, according to WPVI-TV. 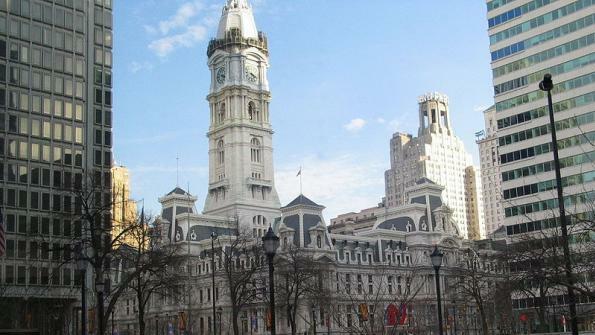 Philadelphia Mayor Jim Kenney said the tax will generate $386 million over five years. The money will go towards funding pre-kindergarten programs, community schools and recreational areas. "Thanks to the tireless advocacy of educators, parents, rec center volunteers and so many others, Philadelphia made a historic investment in our neighborhoods and in our education system today," Kenney told WPVI-TV after the vote. Focusing on the money and the causes the tax would fund, rather than the negative health effects of soda helped the tax pass, the New York Times posits. The paper adds that soda tax measures failed in other city or state governments 40 times in years past. While Berkeley, Calif. passed the first soda tax in 2014, Philadelphia is the first major U.S. city to pass such legislation. The tax has its critics, notably the soda industry. The Associated Press reports that the industry bought millions of dollars worth of advertising against the tax, arguing its cost for consumers. "If this tax is passed, Philadelphia would create the worst black market for nonalcoholic beverages since prohibition, which was back in the 1920s and 30s. Let's not go back in history," Chris Hunter, an employee of Coca-Cola, told Philadelphia’s city council during the meeting in which it was passed, according WPVI-TV. Nevertheless, Kenney feels ready for a legal fight, according to Philly.com. "We believe we're on strong legal ground. We'll see what they do. How they do it. How they approach it," Kenney told the news site. "They spent a long time twisting the facts of this whole debate on television with millions of dollars and that wasn't effective. So we'll fight the next fight when it comes."